Cosipet Nylon Red Step-in Suit Dog Coat. Easy to fit and lightweight to wear. 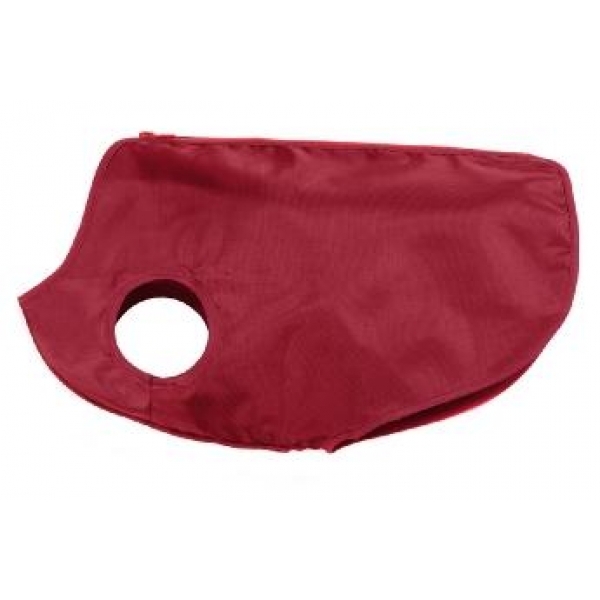 Covers your dog underneath to keep the coat clean and dry and zips along the back. A lightweight nylon coat that is showerproof. Lightweight enough to put in a rucksack in case you get caught in the rain whilst hiking or walking with your dog. For the best fitting measure your dog from below the collar line to the base of the tail.